beIN SPORTS's tweet - "Chelsea "killed the Premier League" because Mourinho was given what he wanted in the transfer market! #beINMourinho #beINPL #ARSCHE "
Chelsea "killed the Premier League" because Mourinho was given what he wanted in the transfer market! Massive digs at Marina Granovaskaia and modern day Abramovich here. Somewhere along the way, they forgot to back the manager(s). Could’ve been top tier European Elite. Fact. sadece futbol konuşan mourinho mu? saatlerce dinlerim abartısız. Jose Mourinho Jose Mourinho Jose Mourinho Jose Mourinho Jose Mourinho Jose Mourinho. True af. Concede only 15 goals in a season, that is the biggest achievement in my opinion. Mind you, he's talking like he didn't spend a penny at United. He spent a huge amount, so his argument doesn't wash.
We are no longer hitting the target 🎯 now, we are settling for players on the cheap. Key word he uses is 'underdog'. He has to be that otherwise he fails. Mourinho speaking absolute sense, Board died when Big Ron left. Never been the same. Who has Marina's number pls? 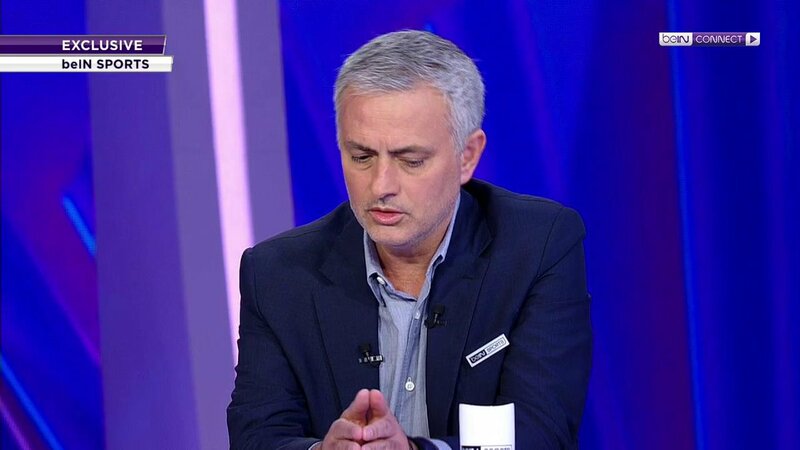 Whatever beIN paid Mou as an appearance fee wasn’t enough. I will never NOT click on a classic Mou 🔥 🔥 take. So come back and do that again! Build it from 0! He’s rights, the club should always give the manager the money and trust them. But at the end of the day this guy wanted to get rid of Martial for Willian, wanted to get rid of Pogba who just started his career at the club, I agree with the board for blocking that. Even if u gave Sarri what he wanted I am not too he will deliver. Both Sarri and the board are chelsea problems. He will always be a manager that wants to buy but he will never be a man manager in order to improve players or bring youth through to the team. Good luck on your next job Jose I will always Remember Stockholm. I like his way of addressing "how to run a team"
Interesting thoughts and a clear indirect at the United hierarchy. Most of the team was already at the Bridge when TSO took over! And what happened the following season?
" Yes, I'm a cheque-book manager. " I shame that now every team does this across Europe, except Chelsea! And this is why we haven’t been like that since. We could’ve been a dynasty under Mourinho. We had a top manager, we had money, we had good players yes but the biggest thing is Mourinho was backed by the board, he was given what he wanted and look at the result of it. Did you ever win it without losing a game? This is what has changed since then. Now we have an inept and a penny pinching board that refuses to buy the coach's 1st choice players. I think @ManUtd are the most ungrateful club. Ole just came and gbam! 6 straight wins. No single new signing, same players, same pattern. I wish he goes to chelsea, arsenal or @LFC & see if he do same. We've not had an amazing person like Peter Kenyon since. Fill the gaps should be done by Managers and Boards. Together. Spot on Jose.